Personalised Christmas Jumpers. UK Made Custom Christmas Jumpers. Christmas jumpers have become all the rage recently, and every year each store releases its own somewhat limited range. Stand out from the crowd this Yuletide season with personalised Christmas jumpers. Upload your festive photos and add your own season's greetings with our text tool and create custom Christmas jumpers unlike any other. Design your own custom Christmas jumpers for you and your family and get festive like never before. Made from White Loopback Jersey, your sweaters are wonderfully soft with a relaxed fit. 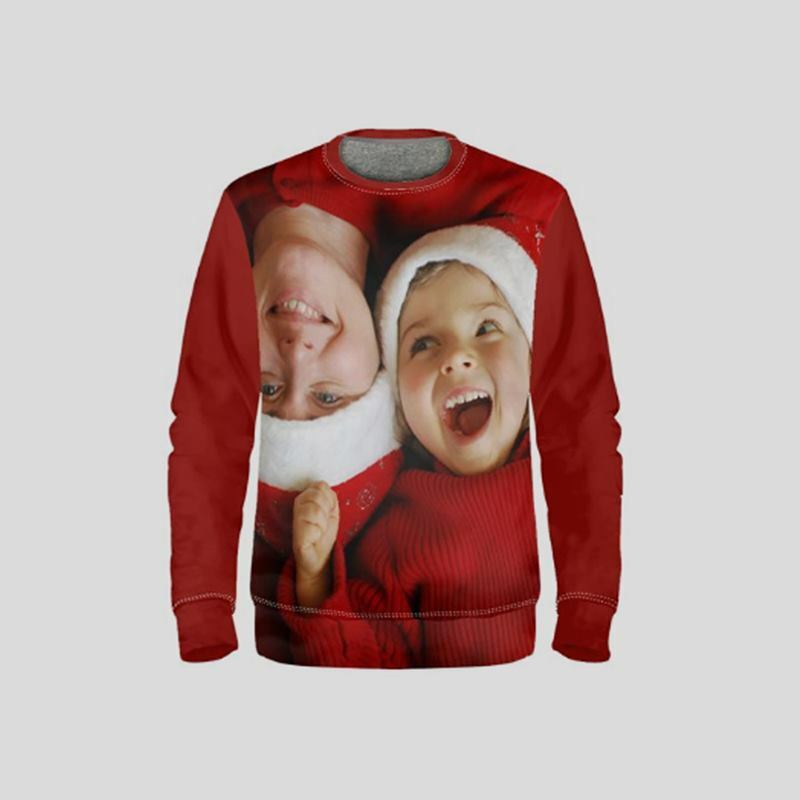 Personalised Xmas jumpers are unisex, and can be ordered in a wide range of sizes from petite to plus size. 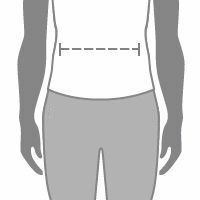 You can design the front and back, as well as both sleeves individually. Perfect for Christmas Jumper Day which occurs during mid-December. Turn inside out, wash 30°c, hang to dry or low heat tumble dry. Had a custom made jumper featuring my dogs and the quality was amazing. A perfect Xmas gift!! Fantastic print quality and really easy to add my fairly poor photoshop work on. Can't believe how quickly it was made - will be back! Jump on the bandwagon with a twist by creating your own personalised Christmas jumpers. Choose any photo or image you like and upload it using our simple-to-use online design tool. You can even put text into your design to add a witty slogan or a seasonal greeting. Create your own Christmas jumper that has five different areas to personalise: the front and back, both the right and left sleeve and the neck rib. You can even create your own label too if you wish, giving you a sixth area to design. Our amazing personalised Christmas jumpers benefit from the popular quantity discount. You can start saving when you order as few as two jumpers, and the more you purchase in a single transaction, the bigger the discounts. Why not create a jumper for the whole family, and benefit from a reduced price at the same time? Your personalised Christmas jumpers are all handmade to order. First, we print your design using modern, digital printing techniques. Our technicians use deep infusion printing to bond the eco-friendly inks deep into the fibres of your jumper. This creates a beautiful edge to edge print. Then our talented craftsmen will cut your custom Xmas jumpers to size and shape, using our bespoke in-house pattern. Our expert seamstresses with then lovingly stitch your jumper together before everything is checked for quality and sent out to you. When it comes to Christmas jumpers, the uglier the better seems to be the trend. Personalised Christmas jumpers need not be any different. Use wildly contrasting images to make a lary design, or add the most cringe-worthy Christmas greeting you can think of. Swim (or rather toboggan) against the current, by creating your own custom Christmas jumpers that ooze taste and sophistication, if such a thing is possible. Use complementary colours and pictures, and add a modest seasonal one-liner. You can even upload images of your favourite characters and make a specialist fan jumper. With personalised Christmas jumpers, the opportunities are endless.